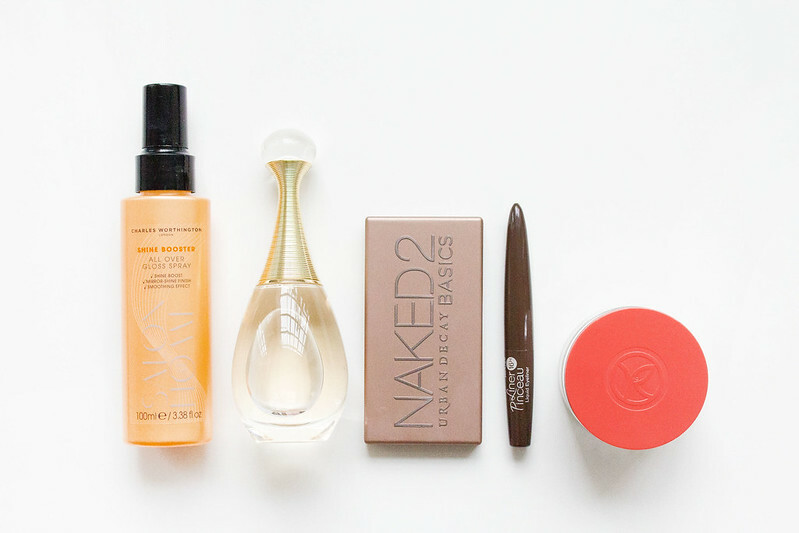 I changed up my beauty routine recently by adding some old favourites back into my life and a few new discoveries. I am loving the Charles Worthington range of hair care, my favourites include the Shine Booster and the Stength & Repair Heat Defense Spray. I'm definitely going to trial a few more products from this brand as they seem to work super well with my hair and it's about time I started looking after it properly.. I have been missing my absolute favourite perfume, Dior J'Adore, and I'm so glad I decided to buy a new bottle. This perfume is divine and I always get complimented whenever I wear it. You know when a perfume just feels like you? This is it. My Bobbi Brown Rich Chocolate Palette is on its way out and I needed a replacement "every day" palette since my Tom Ford Cocoa Mirage quad is a little too intense for daily use. The Urban Decay Basics 2 has super pretty neutral colours shades that are a little more versatile than the original palette. I'm still hunting for the perfect super fine liquid eyeliner to replace my all time favourite brown Urban Decay 24/7 Liquid Eyeliner that has been discontinued. The Bourjois Liner Pinceau Eyeliner appeared perfect on first inspection but after a few uses the brush has deteriorated making it awkward and messy to use. Finally I have introduced two new skin care items into my routine. I don't often need to use a daily facial moisturiser as my skin is 'normal' with very few problems. But lately it's been a little dry, so I've been using the Yves Rocher Smoothing Night Care Moisturiser to nourish through the night and a little of the Smoothing Day Care Moisturiser in the morning to restore my skin. Both products are awesome and I particularly enjoy using the night cream as the balm consistency feels gentle and comfortable on the skin. NAKED Basics has such lovely colours for a neutral eye - not that I need another palette, but if I did, I would definitely get this! Gorgeous picks! I love the Urban Decay Naked 2 with the purples. The Basics looks great as it's a little smaller for every day though! My favorite liquid liner is K-Palette, which is Japanese, so I'm not sure how readily available it is to you, but I thought I'd mention it! Yay, I love your beauty posts! It's so much fun to learn about different products. You should give the Eyeko eyeliner pen a go if you haven't already! I love Jadore. My mom started using it when I was a kid and I am hooked on it since then. My aunt told me about it and it is by far my most beloved perfume. I have tried Eyeko but the nib is a felt tip type, I'm looking for something SUPER fine. I like dropping a few beauty posts from time to time.. I don't buy as much as I used to now I have found "the perfect products" for me though. Ah, thank you. I'm still going to do them from time to time.. I Just don't really have enough to say about beauty anymore. I don't have any of the big palettes as I wouldn't use a lot of the colours but the little Basics palettes are perfect. I love their eyeliner and basic palettes - such great products. It definitely is - it's got the perfect mix of neutral shades. I only buy palettes when I need to replace an old one. I just keep a simple neutral palette and one more "intense" palette.. that's it! On the other hand, there are some UK brands that still indirectly test on animals since they sell in China, such as MAC, Tom Ford, and Stila. In the UK companies cannot test on animals and they cannot import products from other countries that have tested on animals, so products from the companies you mentioned haven't been tested on animals - at all. I personally choose not to 'boycott' these companies but I understand a lot of people do.